Their paths have never crossed but Adar Cohen ’04 and Betty Reardon ’51 have been traveling in the same direction for years as professional advocates for peace. Both will be recognized for their work with an Alumni Achievement Award on Saturday, May 18, during Commencement Reunion Weekend. 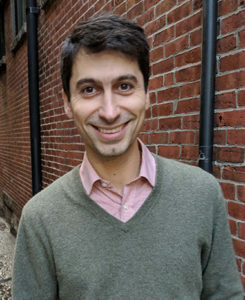 Cohen, co-founder of the Civic Leadership Foundation, is an educator and researcher in the areas of conflict resolution, youth empowerment and nonviolent social change. Reardon, founding director emeritus of the International Institute on Peace Education, is a pioneer who has been dedicated to creating and shaping peace education programs in the United States and abroad for more than 50 years. The Alumni Achievement Awards, presented by the Alumni Board of Directors, recognize the hard work and dedication of individuals who have made significant contributions to their community, distinguished career accomplishments or volunteer service to Wheaton. Both award recipients humbly expressed appreciation for the honor. Adar Cohen has a doctorate in international peace studies from the University of Dublin’s Trinity College. In addition to receiving a George J. Mitchell Scholarship in 2006 to study at Trinity College, he won a 2004 Watson Fellowship, a 2003 Truman Scholarship in public service and several other fellowships. He also co-wrote, with Steve Fiffer, Jimmie Lee & James: Two Lives, Two Deaths, and the Movement that Changed America (Regan Arts, 2015), which explores a pivotal event in American civil rights history. While at Wheaton, Cohen created his own independent major in conflict resolution. “I built an interdisciplinary course of study in conflict resolution because I had a sense that however my studies and career proceeded I felt certain I would always be drawn to helping people engage across differences and find their way forward together,” he said. He has worked with gang leaders and police officers in Chicago, with Protestants and Catholics in Northern Ireland, and with Jews and Muslims in the Middle East, leading change processes in settings defined by conflict and uncertainty. Cohen also for seven years was an adjunct professor in peace, justice and conflict studies at DePaul University, where he was awarded the DePaul Engage teaching award for making a significant contribution to students’ learning and development as socially responsible and engaged leaders. After Wheaton, she earned a master’s degree in history from New York University and a doctorate in education from Columbia University. She taught for several years at all levels from elementary to graduate school and worked full-time at the Institute for World Order from 1963 to 1976. 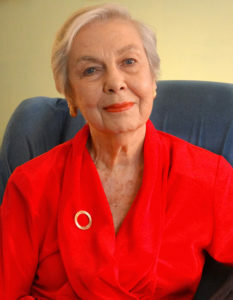 In 1982, she founded the International Institute on Peace Education, an intensive residential experience in peace education for practitioners of peace education in formal, non-formal and civil society settings that takes place biennially in association with partner host institutions in various parts of the world. Reardon, who currently serves as advisor on programs and partners for the institute, said that her attraction to peace work has always been with her and has evolved over time. “From childhood I was appalled by what seemed to me to be the absurdity of war. It also seemed there were likely other ways to deal with the issues that led nations to take up arms,” she said. She has received many awards for her work, including the 2009 Sean MacBride Peace Prize from the International Peace Bureau and the 2013 Peace Education Prize from the El Hibri Foundation. Her book Educating for Human Dignity has been a resource for human rights education from programs from kindergarten through high school. The Alumni Achievement Awards will be presented in the chapel on Saturday, May 18, by Joshua Bauchner ’95, president of the Alumni Association and chair of the Alumni Board of Directors. Want to share interesting news and stories about yourself? Do you know someone who has made an impact in their community, received an award in their professional life or are dedicated to the Wheaton community? Nominate them!